What Is A Dermaroller Skin Treatment All About? Dermaroller skin treatment has been quite popular among users lately, so I thought to dig a bit deeper into finding some answers to frequently asked questions and doubts about dermarollers such as what a dermaroller is, what a dermallorer procedure should be, its positive and negative effects as well as other points which need to be cleared out for the user to have a more complete idea of a dermaroller use and its possible results. A dermaroller is basically a cosmetic device consisting of lots of micro needles, which you can use on different areas of your face or body. There are different dermarollers depending on the length of the needles, the quality of the material with which the needles are made as well as the number of needles each dermaroller has in order to be used on different parts of the skin. For example, if you want to do dermarolling on the sides of your nose, you will need a device that can roll easily and effortlessly on this area. What Is the Use of a Dermaroller? Dermallorers are used for different purposes. 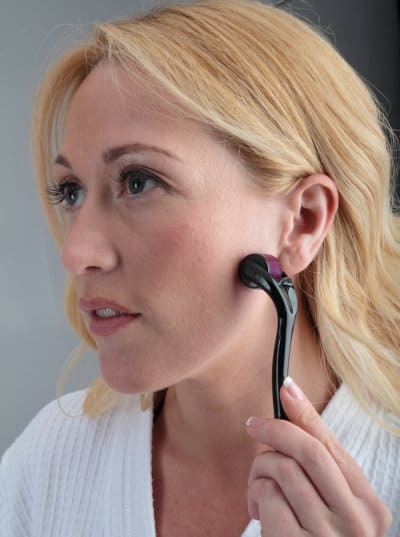 The main idea behind its use is that the needles of this device cause a lot of very small skin injuries on your skin which then the body has to heal and therefore a procedure of healing and producing new collagen starts. All this repair mechanism is reported by actual users to be very helpful in the case of acne scars, stretchmarks, loose skin, enlarged nose pores, bumbs, hyper pigmentation, hypo pigmentation and even deep wrinkles. There are also a lot of people who use a dermaroller so that their vitamin C serum, copper peptide serum or hyaluronic acid serum penetrates better and reaches deeper layers of their skin. That way, they see that they can maximize the anti aging or healing benefits that they want to gain. As soon as I discovered there were different needle lengths of dermarollers, I tried to find what each of those is used for and how can users be sure that the size they choose is actually the right and safe one for their skin condition. I started comparing information from what different sites shared, reading reviews of people, watching videos and mainly focusing on reliable resources. So, let me explain in simple words what I found out to be the purposes of each needle length, what the most popular needle size is and what sizes to avoid if you want to use a dermaroller at home. Most commonly the length of the needles range from 0.2 or 0.3 to 2.0 but let’s have a look at each one separately. The 0.2 or 0.3 is the smallest needle length you can get but the problem with this is that it doesn’t seem to be so effective as to the inducing of collagen but it can still increase the absorption of the facial products or serums you are using. If you want to improve your skin’s texture or get some anti aging results, this specific size may not be the most efficient one. The 0.55 needle length is the most popular among users for facial treatment at home. The needles are still quite tiny, but you can get some satisfactory anti aging, improving face texture as well as scar treatment results without the painful effect you can get by using a longer needle dermaroller with 1 mm length for example or even more. The 1 mm is also quite popular among users for improving skin texture as well as fine lines and wrinkles with people using it also for their acne scars with positive results. This size is also recommended by specialists for age spots or pigmentation. 1 mm needles can have more obvious side effects on your skin such as redness, stinginess or peeling, so if you are just starting the use of a dermaroller or you want to avoid the more obvious side effects, you can consider the 0.55 size for milder reactions and no pain. Also, for face dermaroller needling a 0.55 or 0.75 needle option seems more suitable and safe. For scars on the face or on other parts of the body a very effective and quick solution is also using a derma stamp 1 mm needle length. The 1.5 mm is used in a clinical environment to treat scars, stretch marks and cellulite and works in a quite aggressive manner to penetrate deeply the buildup of fibers and break them up so that the collagen that is below these fibers gets induced. So, you should avoid its use on your face at home which can cause a lot of trauma on your skin. 2mm or 2.5 mm needle length is not recommended in any way for use at home since it can cause a lot of trauma. From what I have found, these needles are mainly used by cosmetic surgeons or throughout some medical procedures such as treatments of severe burn scars or other cases. What Are Dermaroller Skin Benefits? 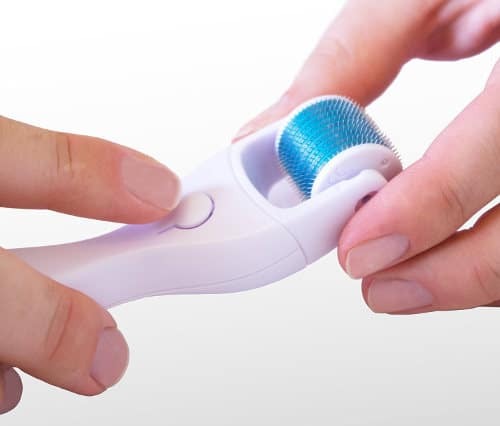 As I have mentioned before, because a dermaroller stimulates new tissue formation, this tool can actually provide your skin with some certain benefits. By inducing collagen, it helps to reduce and smooth out the appearance of fine lines and wrinkles with some people reporting that it works even better than Botox. Dermarollers are also reported to improve the thickness of the surface of the skin as well as the dermis which is the skin layer below the outer layer of the tissues. That results in tighter skin and more improved overall texture. A brighter and softer complexion is often mentioned by users as another benefit of a dermaroller skin needling therapy. A common reason why people use dermarollers is also the tackling of scars and especially acne scars. 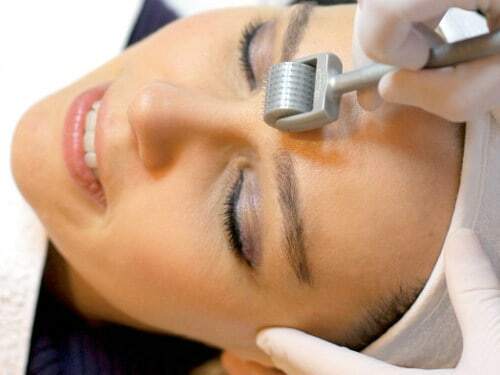 With the needles penetrating deep into the skin, scar healing and new collagen production is promoted. Users who want to treat acne scars or deal with wrinkles use dermarollers as a way to have their anti aging serums or acne products penetrate deeper into their skin. That way they maximize the positive results they can get. Dermarollers are also reported to be beneficial in the case of hyper, hypo pigmentation or age spots. Using a dermaroller the right way is a very important part of a dermaroller skin treatment because by using it incorrectly, you can damage your skin. The word speaks by itself, this tool is a roller so you have to roll it on your skin only and without applying lots of pressure. The directions you can follow are vertical, horizontal and diagonal. Whenever you change direction, you have to lift it up and start again so that you avoid scratching your skin. Before its use you should have cleaned your face with a cleanser of your choice. After the use, a lot of people apply a moisturizer, an anti aging serum or a natural and organic oil but you should be careful with the quality and the ingredients of the products because harmful chemicals can go deeper into your skin after dermarolling. Another important thing when you are following a dermaroller skin therapy is the frequency with which you are using it. It needs at least 3 months of regular use for the collagen to be induced and you seeing some results. Still, it depends on the condition you want to deal with. The more serious a case is, the more time it will take for it to heal. After as well as before using your dermaroller, you should disinfect it with some medical alcohol. You just have to pour some alcohol into a glass and soak it in there for 20 minutes. When you want to buy a dermaroller for home use, you should think carefully about which needle size is the right one for your skin issue. Of course, the quality of the tool and especially the needles is also important. Sharp and made of some good material needles such as titanium can make the process better and more effective overall. Needles are usually made by either titanium or surgical steel but I couldn’t make a really objective conclusion about which is the best since I found supporters of both of these options. A precaution you need to take is of course to disinfect your roller and also be careful not to use it if you have active acne since the process can make your acne breakouts spread in other parts of your skin, too. This tool is mainly for acne scars and not acne itself. Of course, as we have mentioned before, it takes some time for you to see results depending on the severity of the case, so you need to be patient. There are also certain dermaroller side effects that some of them can appear at the time of rolling or even after some days. At the time you are rolling, you may see some redness but that’s a normal reaction of your skin. Sometimes, people also experience dryness or flakiness. Intense side effects may be caused by the wrong needle size. 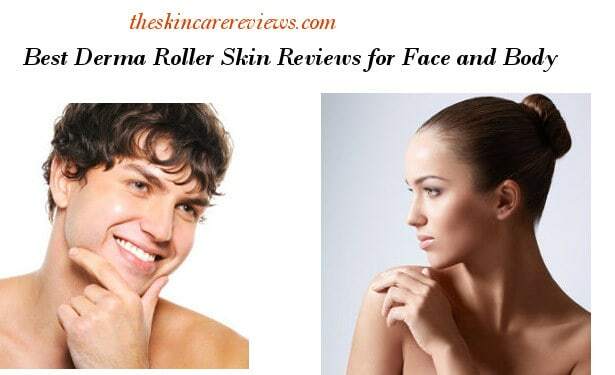 For example, I have read a review by a woman using a 1.5 mm derma roller at home and saying that her skin went on peeling for 2 weeks and looking really bad. But the fact is that no dermaroller with 1.5 mm needles should be used at home and on your face since it can cause lots of trauma. So, we see how important is to know what we are doing before letting anything work on our skin. Additionally, people with sensitive skin or any other condition that needs special care should consult their dermatologist or expert for further advice. To avoid dryness, you can use an effective organic moisturizer or a pure natural oil after use. Experts also suggest that for 2-3 days after dermarolling, you should avoid applying on your skin products containing Alpha Hydroxy Acids as well as Retinol. Another precaution when using this tool is to avoid overdoing it, meaning using it much too often and in the wrong way. In conclusion, these were some answers to frequently asked questions about a dermaroller skin treatment as well as other information that I thought was important to know for people who are interested in finding out more about dermarollers before starting to use them.